Our Florence skirt is a customer favourite at Jaba. A full skirt that gives plenty of swish. A really versatile piece, perfect for day or evening. Our Florence cotton skirt is a customer favourite at Jaba. A full skirt that gives plenty of swish. A really versatile piece, perfect for day or evening. We can't get enough of our velvet skirts and this year we have listened to your feedback and made a slightly longer length. 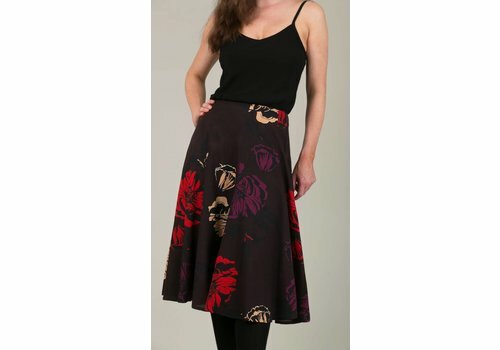 Lined in cotton, this really is a comfortable skirt that looks amazing. Our Lora skirt is the perfect shape, lovely and simple in this season's ochre cotton cord (with cotton lining). 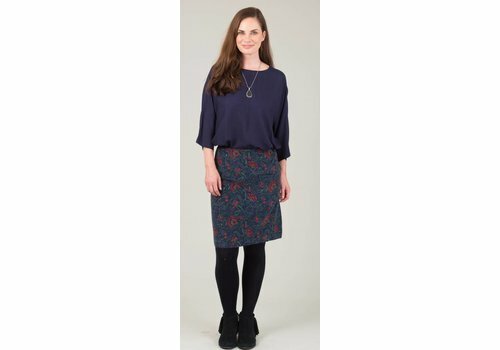 Our Lora skirt is the perfect shape, lovely and simple in our new cotton navy block print (with cotton lining). Matches perfectly with our navy block print jacket. One of our best selling skirts in an updated print for the new season. This skirt is perfect all year round. Our lora skirt is the perfect shape, lovely and simple in our new cotton zig zag print. A great statement piece for this Autumn/Winter. 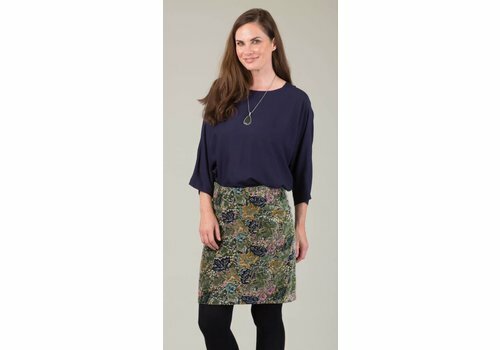 Keep the rest of your outfit simple and let this gorgeous scarf print skirt do the talking, whether wearing for work or pleasure. Match with our Jaba Velvet Jacket in the same print for a real wow. Our best selling Florence skirt is back in this beautiful flower print, a perfect piece for all year round, both daytime or evening. Match with a plain black t shirt, heels and statement necklace for a perfect work or evening look. A longer version of our classic Lora Skirt in our new Autumn Triangle print, it is both flattering and versatile and will be a real wardrobe staple for years to come. Ideal with a simple t-shirt/vest or denim shirt.